LifeTopix is an iPad app developed by LightArrow Inc. 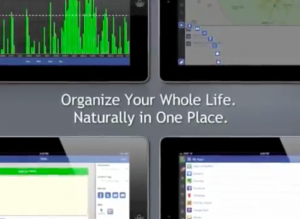 This universal app serves as a complete organizer and planning tool for every aspect of your life. Long-time readers are sure to recall the LifeTopix name. We have reviewed the app on the iPhone twice before, most recently when the app was back on Version 5.1.1. 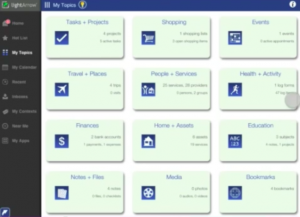 In the review, we wrote, “It really is a robust tool that tracks and organizes EVERY aspect of my life. And the customer service truly can’t be beat…There’s nothing to disparage here. The security is great, as are your backup options and search functionality.” The app was scored as a 10/10. That was back in December. Now, LifeTopix is up to Version 6.0.1, and has a bunch of small tweaks that make a great app even better. In addition, some workarounds have been discovered for minor annoyances. For example, unchecking Show Closed Items in filter fixes the slow performance bug some people experienced when numer­ous com­pleted device reminders were sitting on their device. We’ve talked a lot about the LifeTopix on the iPhone in the past. This time around, let’s talk turkey about the iPad user’s end experience. In a word: brilliant. One of my issues with the app in the past has been how cramped it feels on the iPhone. On the iPad, LifeTopix really comes into its own. It still works great on your iPhone, but LifeTopix has room to breathe on the iPad’s luxuriously large screen. The new features really make the iPad version of the app sing. I love the extensive user customization options, the Configurable Dashboard, and the collaboration features! I wish that I could rate this app an 11 out of 10. It’s just that good! 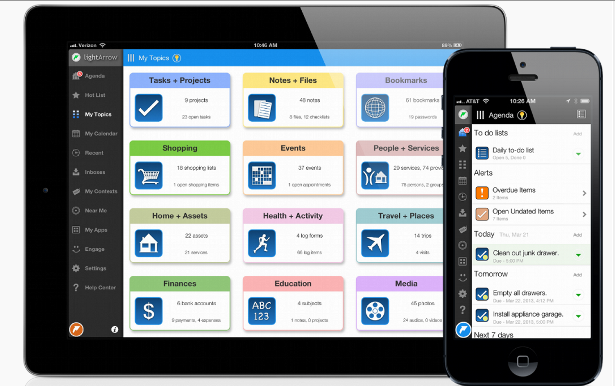 Described as “simple enough for your daily agenda & chores, and powerful enough for your home & work projects,” LifeTopix is ideal for GTD® enthusiasts or anyone who wants to get their lives in order.